As we approach Armed Forces Day, it's important to remember that military veterans have a lot to offer the civilian construction site. The U.S. Armed Forces teach a number of interpersonal skills easily transferred to other areas. Apart from specialized training and education, former military personnel are highly adept at developing strong professional bonds, cultivating skills in others and tracking productivity amongst multiple jobsites. Proof of this can be found in the declining unemployment rate of military veterans. Unemployment rates for those who have served since 2001 dropped to 5.1 percent in 2016, while the rate for the entire spectrum of current military veterans declined to 4.3 percent. Such numbers make it clear employers in the U.S. are starting to realize the benefits in hiring from this particular niche. Here are a few of the beneficial skills they can bring to your business. One of the most valuable traits in military veterans is their penchant for leadership. The U.S. armed forces begin building this quality in every recruit right from the start. Nearly every soldier possesses the nowledge and abilities of a leader. Those who have actually seen combat might have complementary experience working in fast-paced environments, keeping track of evolving objectives and dealing with dangerous situations. The majority of veterans are also skilled in team-building, supervision and performance management. Additional proficiencies in delegating tasks, prioritizing assignments and de-escalating workplace conflicts make them the ideal leader in the construction industry. Military veterans are also known for analyzing and solving problems as they arise. The ability to recognize bottlenecks, potential hazards and team shortcomings makes them extremely useful on large and complex construction sites that involve multiple project phases or those with large amounts of workers from different trades. Although this wasn't always true in the U.S. armed forces, soldiers who are currently transitioning to the civilian workforce are highly familiar with modern technology. The days of performing recon on foot and relaying intelligence via archaic walkie-talkies are over. Instead, current soldiers use aerial drones with advanced cameras and imaging systems and high-tech, encrypted phone lines for communications. Employees comfortable with technology are in high demand in all industries, including construction. According to Gregory Poole, the ability to diagnose & solve problems is hugely helpful to not only secure a job, but grow in the company. With the average soldier's aptitude for technology and logical thinking, it only makes sense that they would be a great addition to your team. A positive, optimistic and hands-on attitude is important in the world of construction. Likewise, it's a quality that comes standard with the majority of military veterans. With a growing number of soldiers making the transition into the civilian sector, and with more to come in the next few years, the average construction site is bound to see an increase in positivity across the board. There are also some tax breaks and incentives and incentives available to construction and other employers who hire military veterans. While this certainly shouldn't be your sole motivation for hiring military veterans, it does offer a nice bonus to those who do. Known as the Special Employer Incentives (SEI) program, this government-backed service provides former U.S. soldiers with streamlined access to employers throughout their communities. Apart from making it a little bit easier for veterans to find work, this program also benefits the employer by covering as much as half of your new employee's salary. 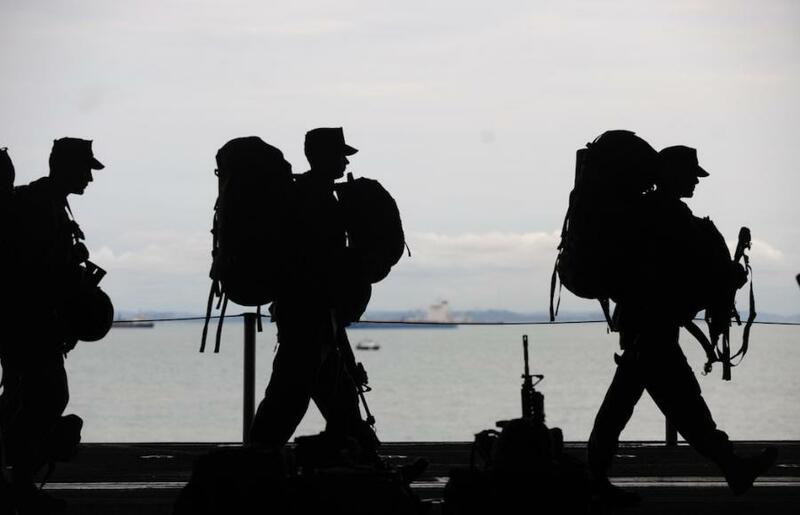 Now that you have an idea of some of the traits and qualities military veterans can bring to the table, it's time to adjust your recruitment efforts to match your new target audience. Many organizations, such as the Wounded Warrior Project, connect former soldiers with civilian resources, including jobs. Partnering up with an organization like this, or one that is more localized to your community, can go a long way in securing the talent of former military members. Highlighting the success of veterans who already work for you is another great strategy when trying to attract more of the same. Use company brochures, literature and advertisements to promote these individuals and their accomplishments. You'll also want to look for skill sets common amongst military veterans. The abilities listed here are great examples. Mention these in your job postings and classified ads to hattract the attention of former soldiers and draw their interest right from the start. This is the first installation in a 3-part series about veteran education resources.